Before we jump in, can we talk about that little concrete planter in the background that I found at TJ Maxx for $25? He’s begging for a houseplant and I haven’t decided what to put in him, so please excuse how pitiful and lonely he looks. Maybe I’ll find one this weekend! Also: I’m deep in a topknot rut and thinking about returning to a lob for the spring and summer; in the meantime, let’s pretend I’ve bothered to do something cute with my hair this week, yeah? On to my real-life outfits! Some of these are from late last week and the weekend, and a few are from this week, so they’re all out of order and I haven’t bothered labeling the days. But I’m trying to get in a consistent habit of taking photos before I head out the door in the mornings so I can get a fresh Style Files post up every Friday! 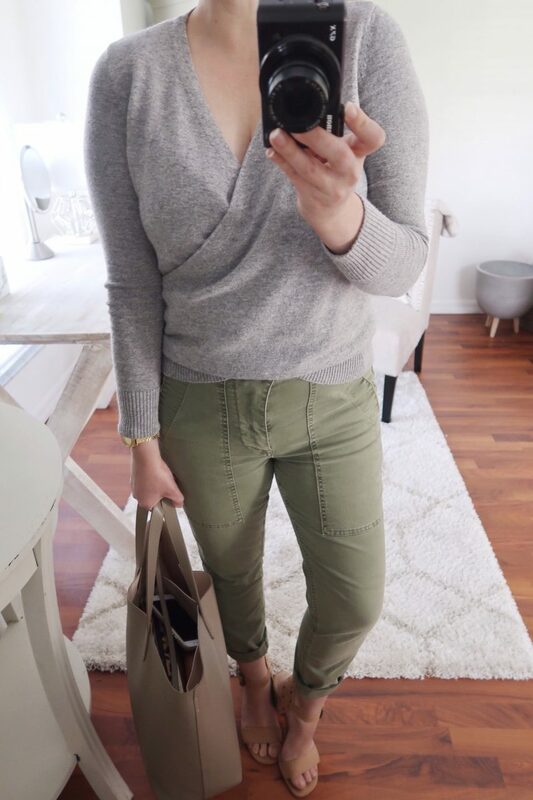 These J.Crew cargo chinos and I were reunited when I unpacked all my spring stuff at the beginning of the month, and it’s good to have them back in rotation as an alternative to jeans. I bought them years ago, and they just get softer and better with each wash and wear (they also have a high-rise waist, which we all know I lurve). If you’re looking for something similar, try their vintage straight cargo pant. My sunglasses are Ray-ban and I never want to take them off my face. Hands-down best accessory investment. 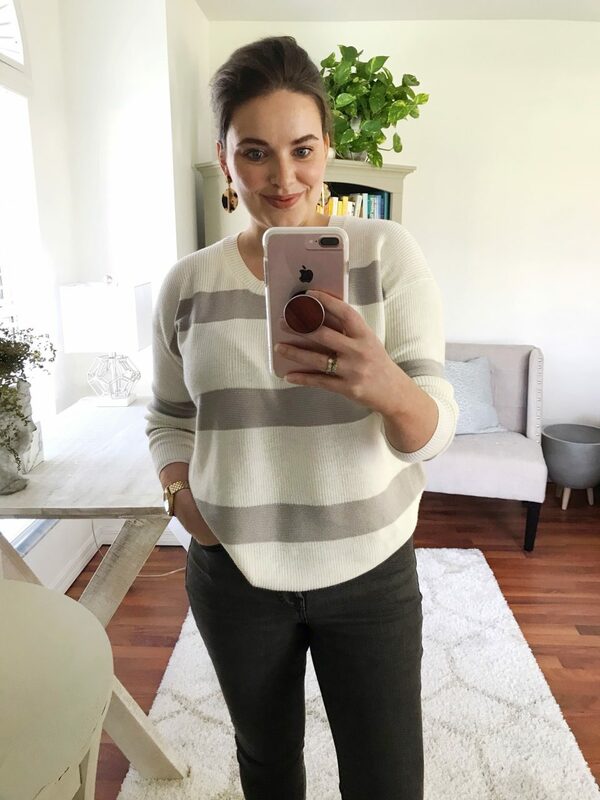 Speaking of accessories, I bought a handful of inexpensive statement earrings for the photo shoot I styled last week, and ended up keeping them because they were such a steal; I could use some fun accessories this season to amp up my basics. 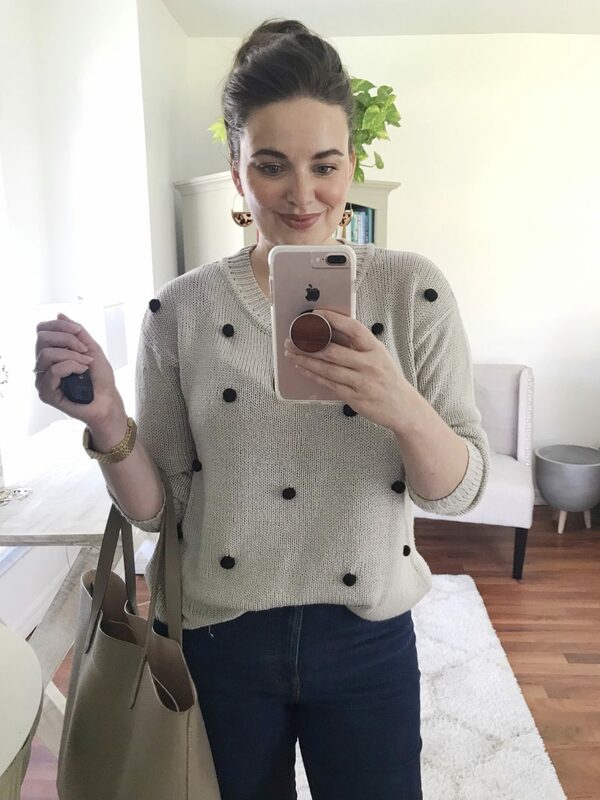 I wear this MINKPINK polka dot sweater all the time (when Florida weather permits) because it just makes me so dang happy; gimme all the pop-poms please and thank you! 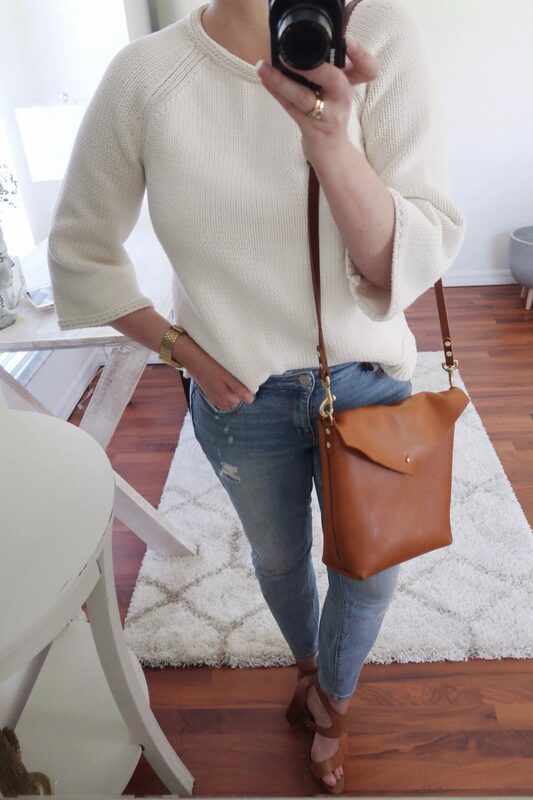 I remember this sweater being a big splurge at the time I bought it from m.marie (it was around the time we started our business and money was lean) but it’s been one of my best purchases because I still love it all these years later. 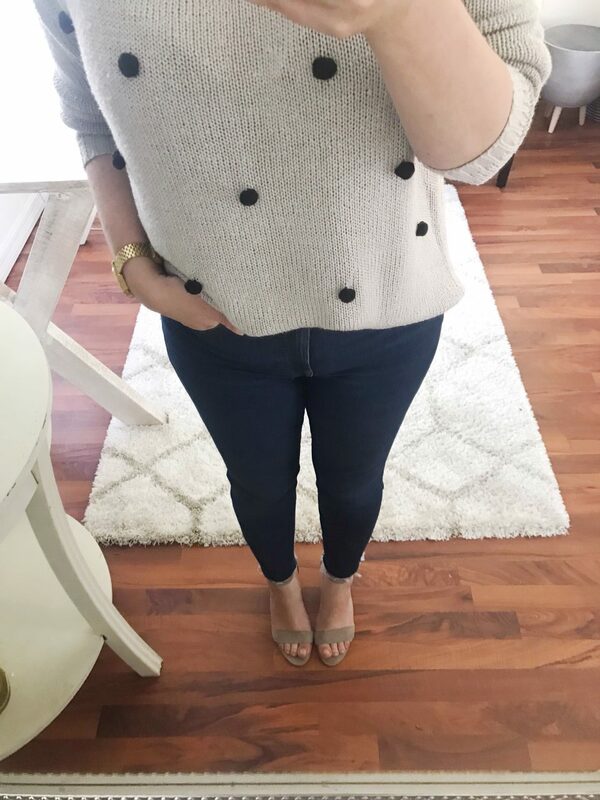 If you want a cute alternative, Need Supply has a pom pom sweater for under $45 that you can find here. 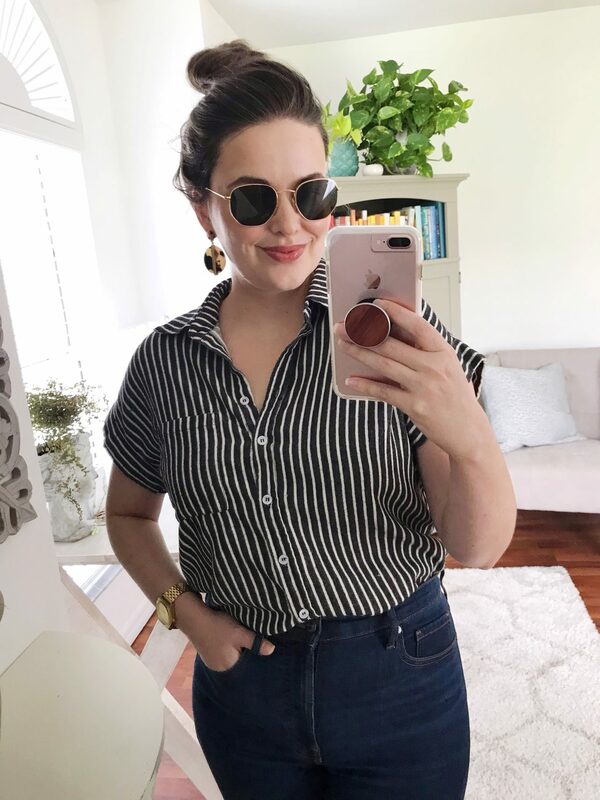 This washed silk dress is another oldie-but-a-goodie from J.Crew and I couldn’t even tell you how long it’s been in my closet, but it’s my go-to when I’m too bloated for jeans (#relatable?). 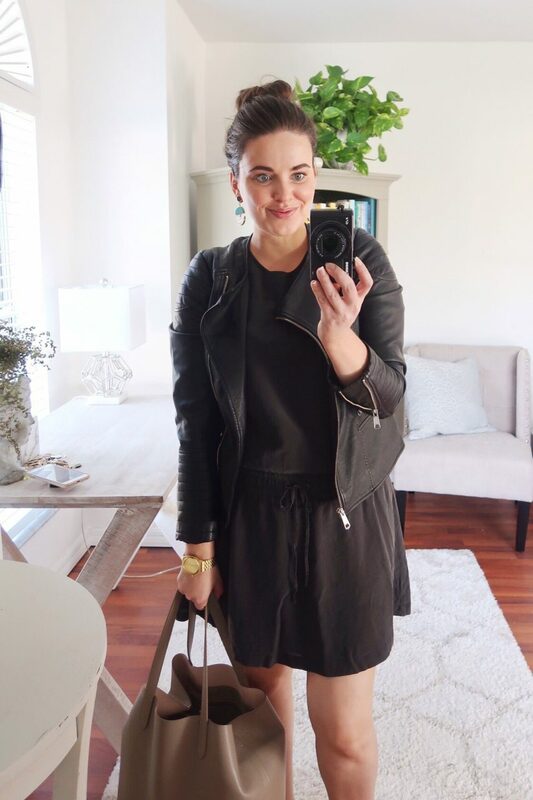 I threw a vegan leather moto jacket over it because it was chilly that morning, and added a colorful pair of statement earrings and flat sandals. 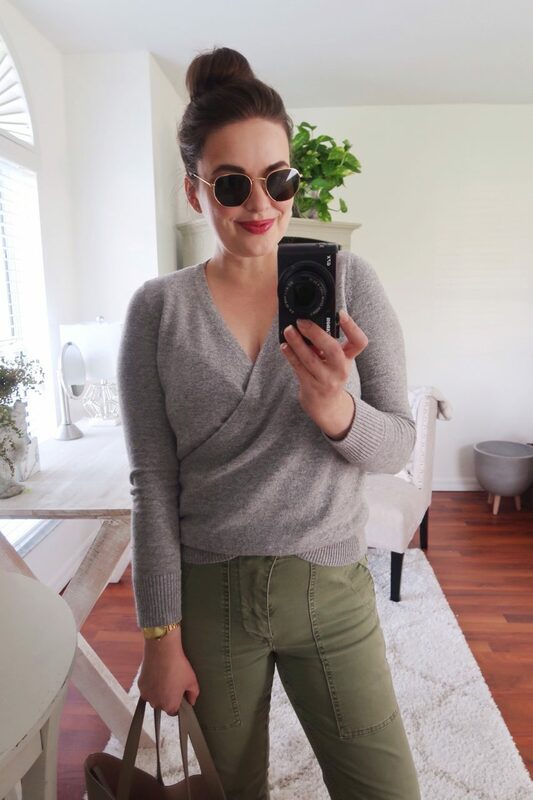 And finally, we have the aforementioned Everlane skinny in washed black, paired with an Olive + Oak sweater from m.marie and a $5 pair of gold and tortoise earrings that I want to wear with everything. My favorite posts! Love every single outfit here. I need to try that gradual lotion. I’ve used the coola dry oil for what feels like years but need a lesser option. I love these posts! 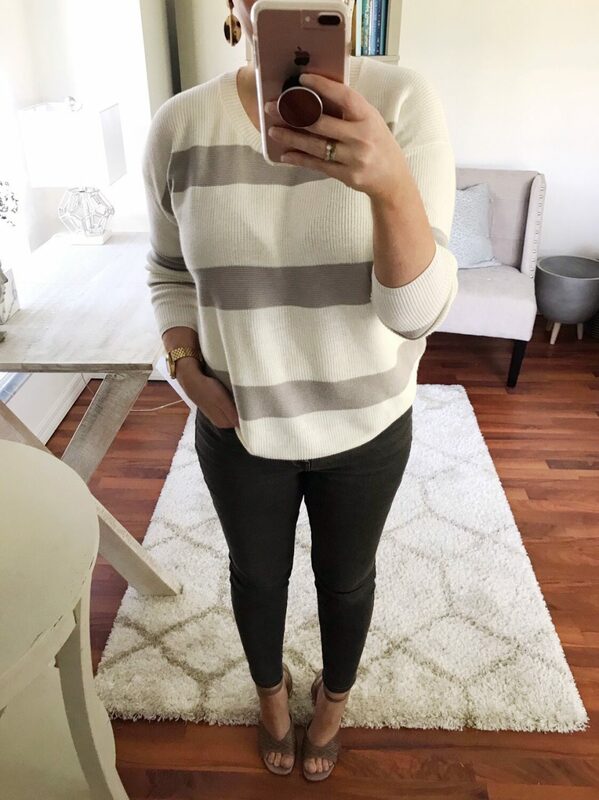 It’s so much fun to see all your weekly outfits! Love your style files posts. Thanks for sharing. Hopefully you find a house plant you love this weekend for your planter!